Right now I’m super excited because I just found out about the upcoming movie “Les Miserables”. I’ve never seen the show/movie/book or anything, that’s why I’m really curious about it. But most importantly, because I think the cast is brilliant: Anne Hathaway, Hugh Jackman and Russell Crowe. I don’t really have a list of “Favorite Actresses” like I have with actors, but if I had one Anne Hathaway would certainly be in it. She’s incredibly talented, beautiful and with an amazing voice. I can’t wait to see this movie. 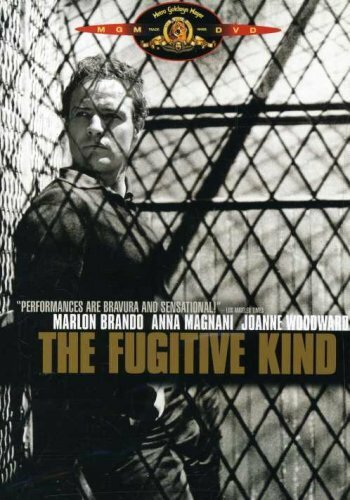 This is a movie by Marlon Brando from 1959. It’s about a guy that wants to start over so he finds a job as a clerk boy at a local shop. The owner Mr. Terrance is sick, so the shop is ran by Lady, his wife. Val (Brando) meets Carol, a rebel kind of girl and spends a day with her, she obviously tries to seduce him and he rejects her. Everything goes alright at the shop until Mr. Terrance starts to believe his wife is cheating on him with Val. And well, maybe she is, maybe she isn’t… now go watch it. I really liked it. But then again, I always like a movie if Marlon Brando is in it. I haven’t seen many of his movies, but seeing him acting amazes me so much I can’t even blink. I think old films are the best. I like a lot of bands, but when I really like a band that I think will last long in my life, I try to listen to their music very carefully and paying real attention to their songs. 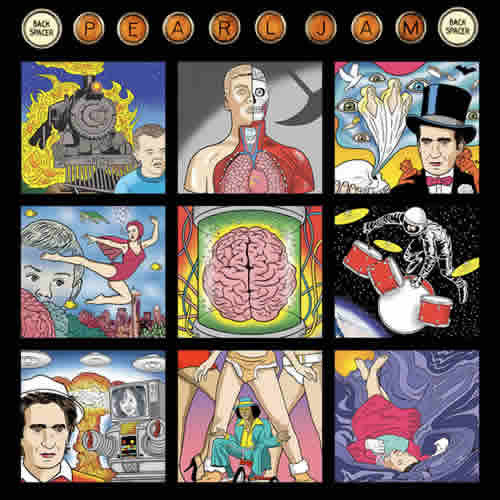 So, a year ago I started listening to Pearl Jam since their first album and been listening to each album like if it was some sort of job since then. Today I finally reached my goal and listened to their last studio album: Backspacer. I liked it a lot. I love when Eddie Vedder uses his melancholy type of voice and here’s a song called The End which I listened a bit before I listened to the entire album and is quite special to me. But anyhow, here are my favorite songs from the album. I finally watched the first two seasons of The Walking Dead, my brother kept telling me to watch it since it began but I’m a paranoid nervous wreck, so I knew if I watched it I’d end up scared and paranoid, so I didn’t. But for some reason I watched Zombieland and didn’t get scared and quite liked it. The same happened with Shaun of the Dead. And I started to like the whole Zombie Apocalypse thing, everyone seems to be obsessed about. So I gave it a try a couple of weeks ago and… here I am… obsessed. I have no words to explain how good this show is. I’m pretty sure everyone has already seen it, but if not. 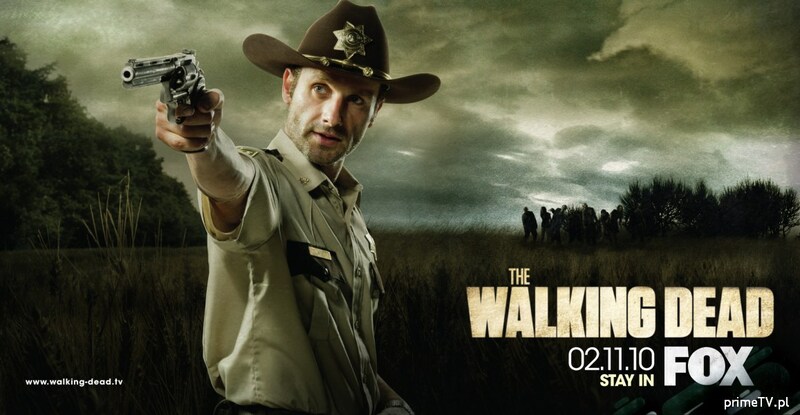 It’s a show about (obviously) the zombie apocalypse, it’s about Rick Grimes, a Kentucky policeman who got shot at work and woke up to see his city, home and friends changed. Then it’s about his journey to find his family and best friend. Then, it’s all about survival. The story isn’t based only in zombies, fights and killing. The individual story of each character is good, the drama in the group is good, everything is good. I just loved it. The best thing you can do while watching this show is… to not get attached to a character, because you never know when it will end up being a Walker’s lunch. But I, as I always do, obviously fell for a character: Daryl Dixon. The biggest badass character in a TV show. I just love him. Right now I’m reading the comic because I’m curious to see how true the show is to the comic, if not, I want to see what changes. The first comic until now, is the same as the first episode of the show. So, I’m liking it too. I’ll try not to read further than the last episode, but I might get hooked. It’s just addictive and you just want to know what happens next. After watching the show, you start thinking in how you’d survive a Zombie Apocalypse, at least I did and I’ve had conversations about it with friends. It’s pretty cool. If you watch this show leave me a comment with your thoughts about it, I’d love to share ideas and comments. 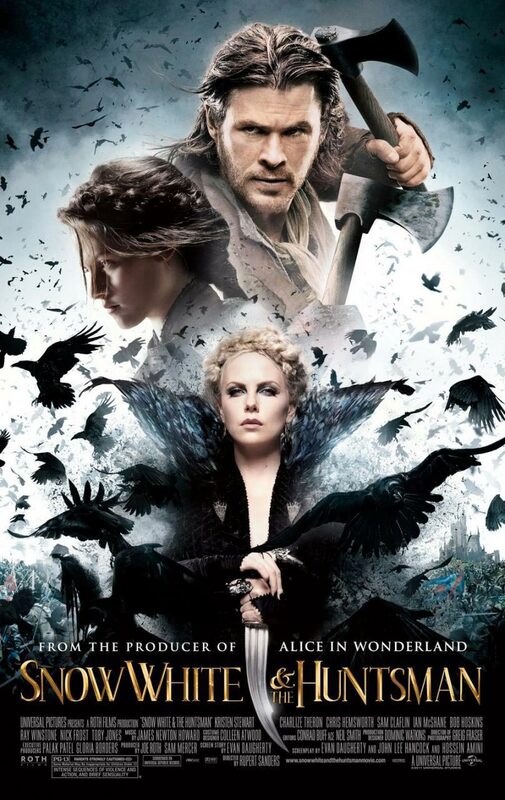 Today I watched Snow White and the Huntsman, and I would never have thought I’d really like it. I watched it for the mere reason of enjoying seeing a handsome, dark haired and bearded Chris Hemsworth. But in my opinion, the movie was really good. But if I had to point out the good and the bad from the movie it would be like this. The good: Everything. The bad: Kristen Stewart. It was a good movie with the wrong leading lady. I think we all know the story about Snow White. Well, it’s the same thing with really tiny changes. There’s an evil witch stepmother, a huntsman, there’s no prince but a brave and friendzoned William, a magical world, dwarfs, broken spells and a war against the evil kingdom. And that’s about it. (And you can see all that on the trailer too). But here’s what I think about the movie. For me, Charlize Theron is one of the most talented and beautiful actresses of this time and Kristen Stewart was in no way (talent or looks) close to Theron, she shouldn’t have had the role. She has no facial expressions and was in no way prettier than Charlize, when in the story we all know, Snow White was supposed to be prettier than the Queen. Well, that’s the only big fail I found in the movie. On the other hand, let’s talk about a subject I’m fonder of: Chris Hemsworth. I had never seen him out of his character of Thor (aside from the movie A Perfect Getaway that I hardly remember) and I really like him. I think he’s a good actor and I hope he gets a chance to choose better roles to lift up his career. Maybe because they’re both tall, with a strong voice and Australian, but he reminds me a lot of Heath Ledger. From now on, I’ll do what I always do when I like an actor: I’ll watch his next movies without exception. And maybe someday he’ll get a role that will make people think “This guy is good”. I love listening to music and my friends knows that, so my friend Gustavo recommended me this band. 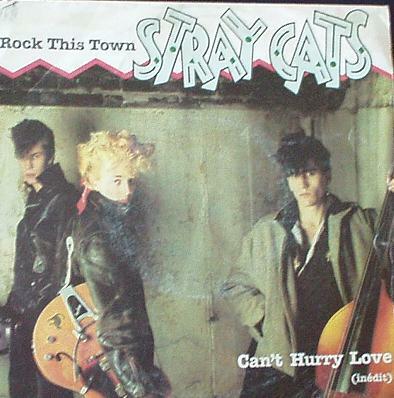 Stray Cats is a Rockabilly band from the 80’s. I had never listened to them before and I really liked their first album (I might listen to more in the future). It’s not like me to really like an album at first listen, but I liked this one a lot, so I highly recommend it. I’ll post some of the songs I liked even though I liked more than just 4. 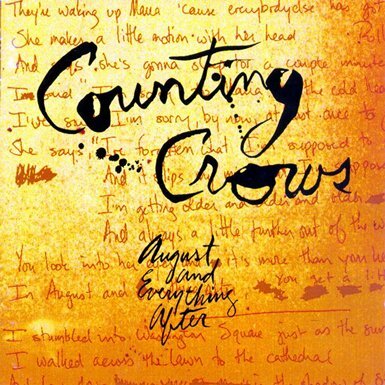 Thanks to the Facebook game SongPop, I was curious about listening to Counting Crows so I decided to give a listen to “August & Everything After” and I really liked Adam Duritz‘s voice. There were songs with lyrics that didn’t get me, but the voice did. My favorite song in the album was Anna Begins, because I could totally relate to the lyrics right now.